At Geelong Grammar School, we believe that learning is life’s greatest adventure and every single step matters. The journey begins at our two early learning/primary campuses, located in Toorak and Geelong, which provide the building blocks for a love of learning. 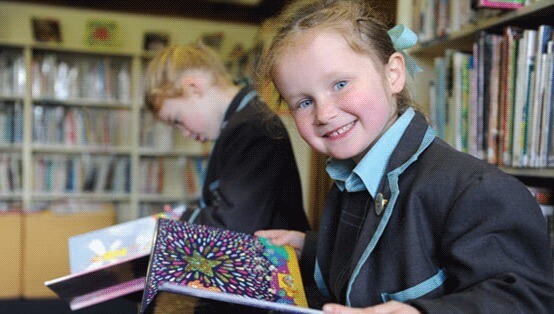 Our Toorak Campus has a reputation for innovation and leadership in primary education. It was the first school in Victoria to introduce the Primary Years Programme (PYP) of the International Baccalaureate (IB). The Primary Years Programme offers a comprehensive, inquiry-based approach to teaching and learning, encouraging our students to be intellectually curious, creative and expressive. A modern campus in the heart of Melbourne’s inner east, we provide a positive environment where learning is celebrated and children are encouraged to reach their potential. Bostock House is very much a child-sized campus — it is small, with small class sizes, where teachers recognise and understand the unique talents of every boy and girl. We believe a child’s early school years should be both an enjoyable and enriching experience, establishing an expressive, thoughtful and curious foundation. Our heritage-listed campus is located in the leafy Geelong suburb of Newtown, providing the perfect environment for our students to explore, learn and play. We developed Positive Education from the science of Positive Psychology in collaboration with Professor Martin Seligman and his team from the University of Pennsylvania. Positive Education focuses on cultivating positive emotions and character traits, encouraging our students to find purpose and lead engaged and meaningful lives. Positive Education is taught at each year level, at every campus and across all aspects of school life.